Let's begin this properly.. 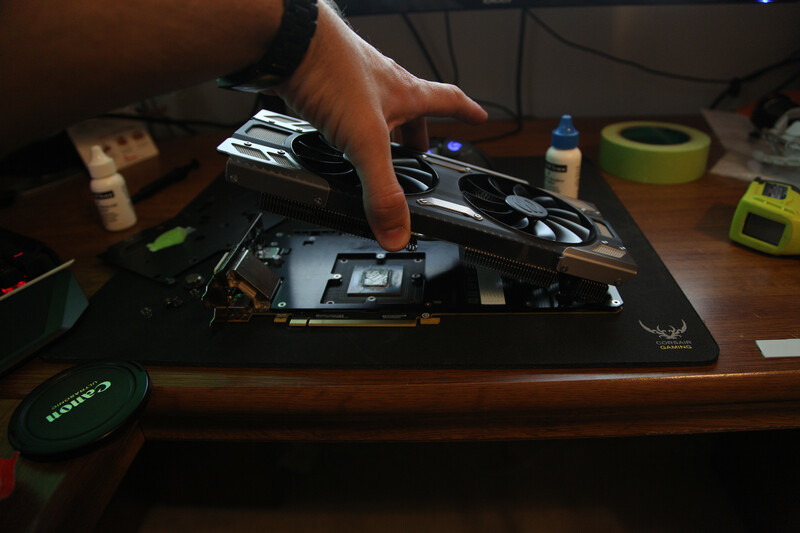 This is the guide on how to install the thermal pads for the 1070/1080 FTW. These thermal pads were not sent to me from EVGA. These are my spare thermal pads from my watercooling kits, and they are .5mm each. music in the background. I suggest classical for those that are susceptible to relaxing with music. A workspace the size of a GPU. Remove the 4 spring screws. Gently twist the ACX slightly to free the TIM on the core, and lift up slightly, then slide it back from the I/O bracket slightly or it will not clear the bracket. Place the cooler on the core, and make sure it fully seats. Do not connect the fans or LEDs just yet. 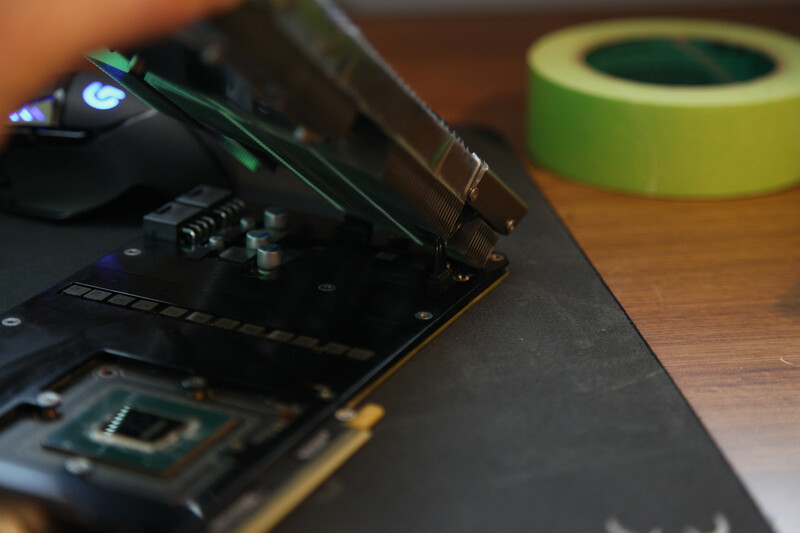 Reapply Thermal paste with your desired method of application. I prefer spreading because i KNOW it is on the entire GPU Core. if you do the pea method or rice method, it may form an air bubble. Air bubble will cause the GPU to shut down even when temps are low. the thermal sensor on the core is only in one spot.. If that spot has thermal paste, it will read low temps. If it read low temps and you get hard locks or black screens that are unrecoverable, simply repeat this step and try a new TIM method. Again, I prefer spreading. Reattach the LED plug, then the Fan plug. Lower the front of the cooler slightly past the lip of the I/O bracket and then into place over the core making sure it seats evenly and properly. Turn the card over, and reinstall the 4 spring screws. Install them using a cross tightening pattern until they all bottom out properly. Do not tighten one all the way down, and then the next. *Update 1: Something that every user should keep in mind. The 700 and 900 series FTW and classifieds utilized the same heat spreader and ACX style design. They also used louder and faster fans that moved more air through the cooler and across the heat spreader under the cooler. To get optimal temperatures, you will need to turn the fans up a little more than stock, or use a more aggressive fan profile. A fan running at 30% is not going to dissipate heat from an air cooler like a fan running at 50%. On the FTW, Master bios starts the fans at 60c around 35% and on the slave bios, my card runs at max 60c with 50% fan speeds. My max observed temperature to date is 65c on the slave bios. Turn your fans up a little and let the air cool you card off. These thermal pads are NOT going to remove heat if air isn't moving across them. Nice instruction and very useful. I feel some will be apprehensive to undertake such a task and could also be put off somewhat from buying said cards, especially as they may see it as an aftermarket fix, rather than an upgrade to a functionary device? It is super easy to do. People need to understand, these cards are not made of very thin glass.. Just don't drop them and everything will be fine. If there is anything I can do to make the guide better, please let me know. I think your guide is fine & for someone like me, I did delid my 6700k and applied liquid pro, so it would be no bother for the likes of myself. But some will not and could not do what others find straightforward especially when it comes down to a hands on or a somewhat enthusiast level. Nice writeup but I have a couple questions. You say it's for the FTW cards but shouldn't this apply to all the custom PCB 1070/1080's? 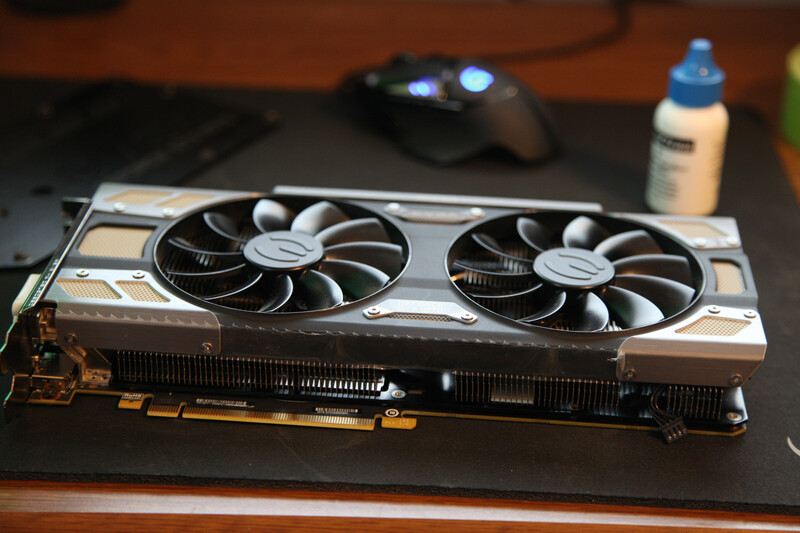 Or just any card with the ACX cooler? And did you by any chance obtain any temperature measurements? I'm still trying to figure out where the main source of the hot spotting is from. I know it's the VRM's but is it a result of the back plate holding in too much heat without the pads on the back of the board or is the main fix from the pads on the front of the card under the cooler? 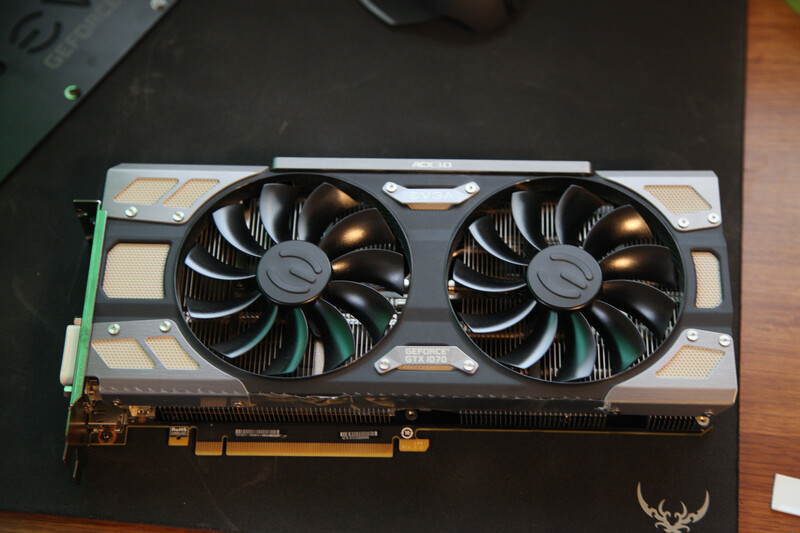 I ask because I have a 1070 SC Black Edition with no back plate and I'm trying to see if this pertains to me and/or if I would benefit from the pads on the front. 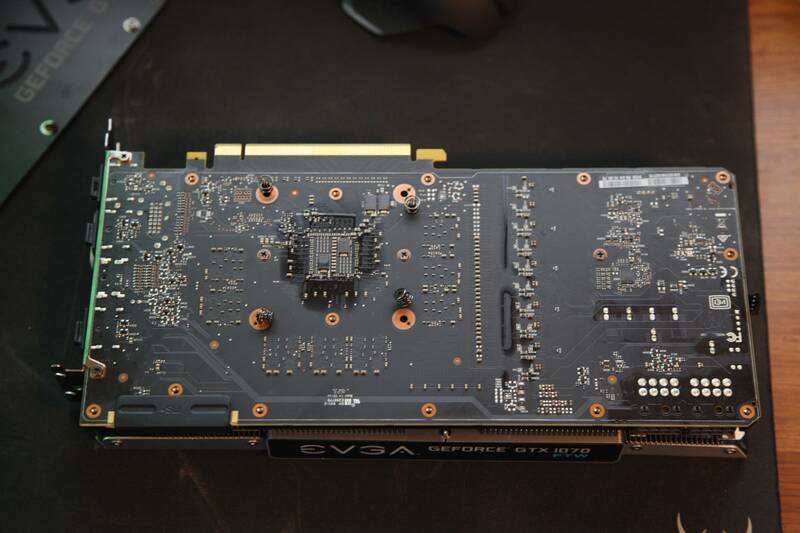 Review sites keep saying any card with an ACX cooler is effected but EVGA has yet to clarify that. Thanks. Simple yet thorough instructions. Great job. Although I have to say spreading is more likely to create air bubbles. I've always been more of a pea in the center guy. Although a line is more effective in GPUs. The FTW and the Classified PCB are closely "related" to each other and have nearly the same setup as it pertains to the are of the mosfets that need cooling. This would work exactly the same for the classified card. Since the FTW and Classified are the only two cards that are custom PCB's, then this would apply for both, but it would extend the header if I added "and Classified". Backplate was 38.8c after folding for 30 days. 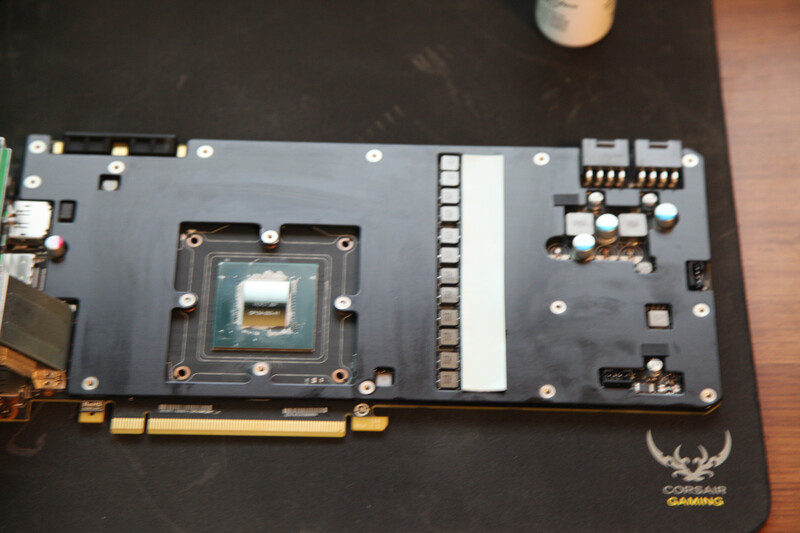 Backplate showing 54c after an hour of running furmark before the thermal pads were placed, while the room read 21c. After the thermal pads were placed, the backplate now reads 59c at its hottest spot directly over the back of the mosfets, and the room reads 24c. The GPU core read 64c in both tests. I apologize, but I do not have pictures of videos for that part :-( I also do not have any really nice thermal monitoring equipment either. Would applying the pad to the spot under the back plate be sufficient? I have no problem with that. However, I am very hesitant to remove the heatsinck and have to reapply the thermal paste again. It honestly wouldn't change anything at all. Just turn your fan speed up from stock speeds. I am using the second bios, and when I turn the fan up, the entire GPU cools off a LOT. I think people are not taking into account that the fans have to push air through the cooler, which is already dissipating heat, and then that hot air has to move across the heat spreader for the VRM. The 780, 780ti,, 980, and 980ti classified and FTW all used this exact same type of heat spreader, and never had issues, but the fans also ran constantly and much louder. The only change was the fan speed from those cards to these. Move more air across the card, and it will cool off much more efficiently. I have used the line, the pea, and the spread method. 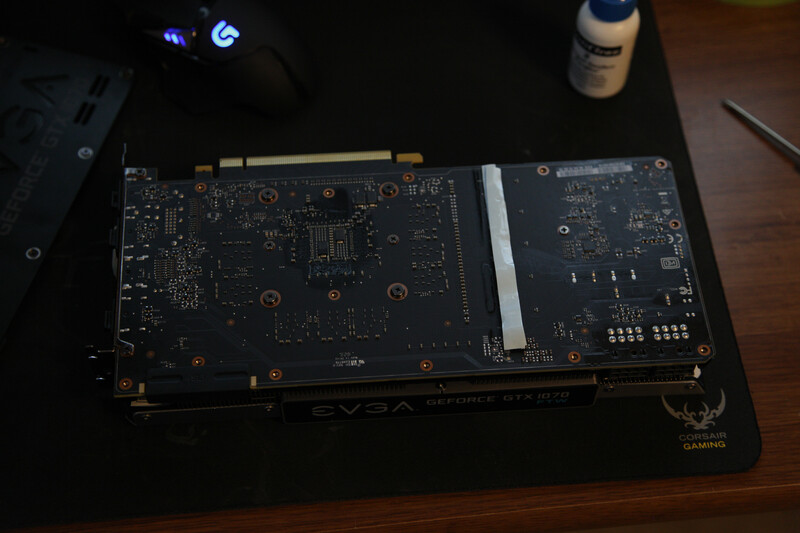 the times that I used the line and the pea method, there was sections of the GPU core that had absolutely no TIM covering them, so I started using the spread method and making sure it was all covered. 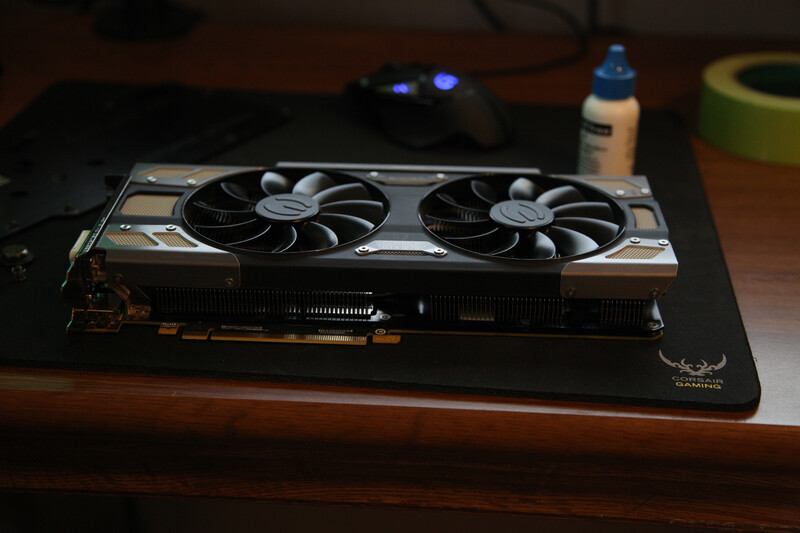 Four 780's, four 780tis, four 980, four 980tis and now one 1070, and I have never had a GPU fail... except the time I used dry ice cooling on a 780 and killed it, but that was because of condensation lol. Agree, I would also recommend the spread method as the whole chip needs to make contact, a little bubble is better than no tim around the edges. I cringe when I see the pea method used on youtube vids. I now use the Spread Method as well, CPU and GPU. Hm, makes sense. Better safe than sorry, I guess. My questions goes to creator of this thread, Scarlet-Tech, is this the official evga's guide and will they ship the same thickness pads? I ask because, I also have all the materials already in home, there for if this is the real solution and real materials, I don't need to wait no longer, I will just apply this fix right now. Please respond if you'r online, thanks. 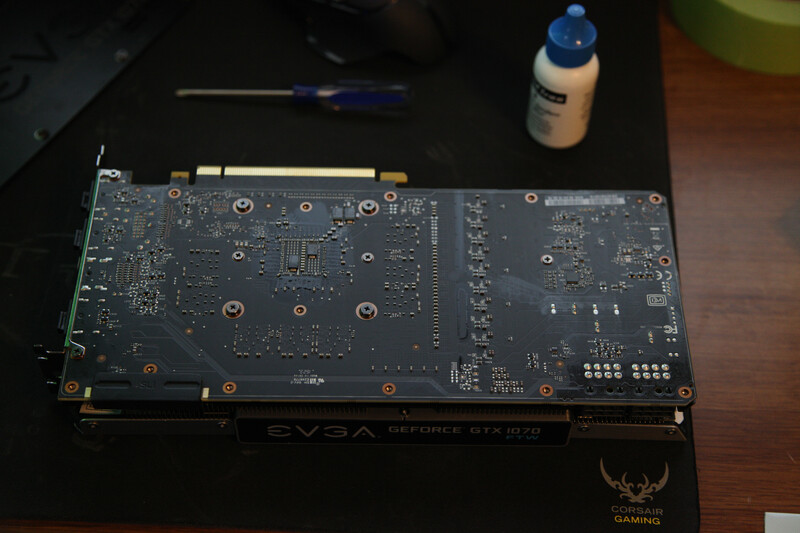 This is not an EVGA official how to. 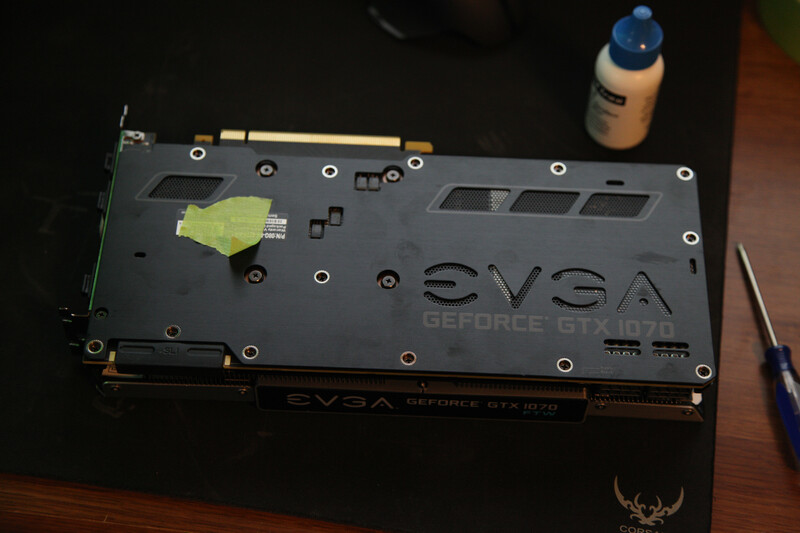 This is the same guide that EVGA will be putting out for the thermal pads install. The thermal pads they ship will probably be 1mm. I used what I had at home, which was .5mm. I am looking for my 1mm pads so I can install them now. Thanks for the information about the pads placements and also applying the thermal paste, I will spread the paste instead of just putting a pea drop on. I would like to know from your experience, What is the best tool or way to spread the paste efficently and even? 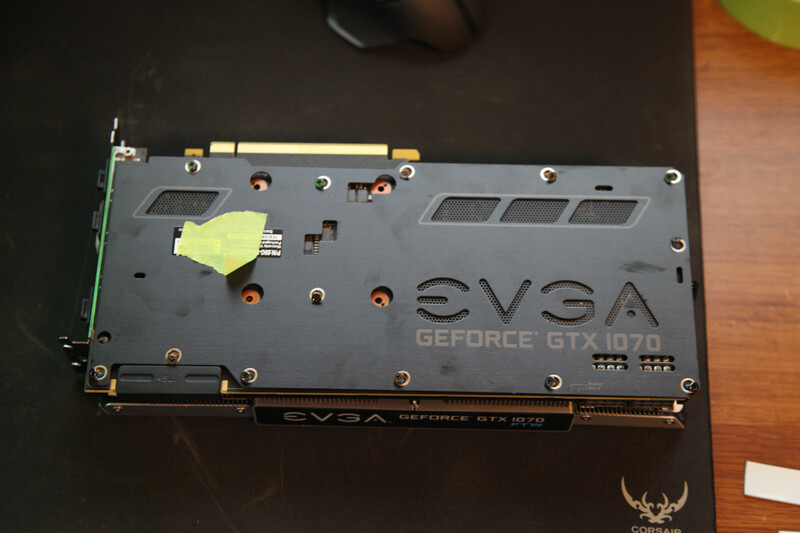 Also I replaced the stock backplate with an EK-FC1080 GTX FTW Backplate - Nickel and it came with some thermal pads to put in between the pcb and plate. I believe in the exact spot in your pics. I will know for sure when I take it apart again to apply the new Arctic pads. I did notice that the new EK back plate was extremely warm near slight burning when I was running some benchmarks on my 1070 FTW Slave bios auto fan speed. Temps were in the 80's and it soon started to artifact/glitch non overclocked. Could the backplate be a reason temps actually get warmer as it acts as a heat trap instead of a heat disapater? I am using EK's backplate with the ACX 3.0 cooler and not with a waterblock, but when I game I now put the fans on 100% because I use headphones and don't notice the noise. For anyone looking to buy the Arctic Thermal Pads, there were only four 1.0mm 145/145mm sets left on Amazon so anyone who doesn't feel like waiting for EVGA to send them, go grab the last pair. Or look for some other brand, I figured Arctic is a trusted enough brand to go with. Cost was $16.29 USD and it's Prime 2day ship available. They also have 0.5mm and 1.5mm as well. Is the thicker the thermal pad, the better heat reduction? I won't weigh in on which method is best, but keep in mind that there is a heat spreader on a CPU that doesn't exist on a GPU; it's a bigger problem for bare spots on the raw die than if the corners of a heat spreader aren't covered. I have plenty of 0.5mm (100x100mm), also few 1mm and 1,5mm (100x100mm), I will do exactly as you did, only replace 2x0.5mm straight away with 1mm or 1.5mm will see how the backplate will make contact with upper pcb mosfets. I honestly use the edge of my debit or credit card. It works really well. I wouldn't show that part in the pictures though, lol. As for the backplate and thermal pads, I can not say whether the backplate holds heat in rather than dissipating. I have no way to properly test that. Thicker thermal pads do not always work better. Took thick isn't going to be bad, but too thin definitely would be horrible. Thank you for stopping in Brandon. If you can see any changes that need to be made to this, please let me know and I will update the thread. Perfect. Let us know how it goes when you have a chance please. Thanks for pointing that out. Last time I changed the TIM I put a large ~3mm pea size right in the middle, but when I apply the new pads, I'll use the spread method. It looks like its the safer way to go. EVGA has Just updated the Thermal Pad Mod page. Turns out, I was right about the fan speed being too low and not moving enough air over the VRM heat spreader. This is a very easy supplementary update for every user (simply download and open the file). I have some spare pads lying around. Will these suffice? Thanks for the tutorial Scarlet-Tech. Also, I don't see a file download on the thermal mod page. Maybe I'm misunderstanding the above post. Nevermind, I misread it. It will be released in a few days. Thanks again! 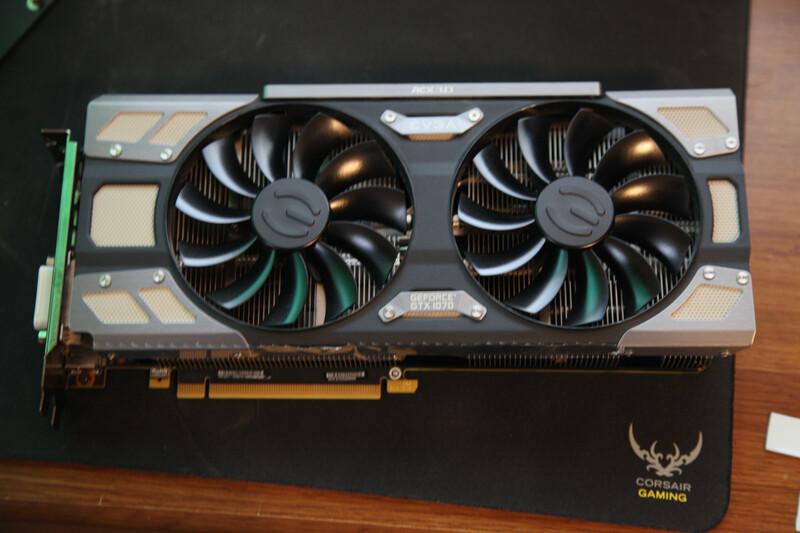 Very nice this post but I still think that a customer dont have to do such manipulation on his graphic card, and for you this is easy, I already know several evga customers on french forums who dont want to do that ! Thanks a lot for the guide - It'll certainly help me out a lot, and I think I'll do the spread method as well. I still remember how badly my first pea method went when installing my 4790K. 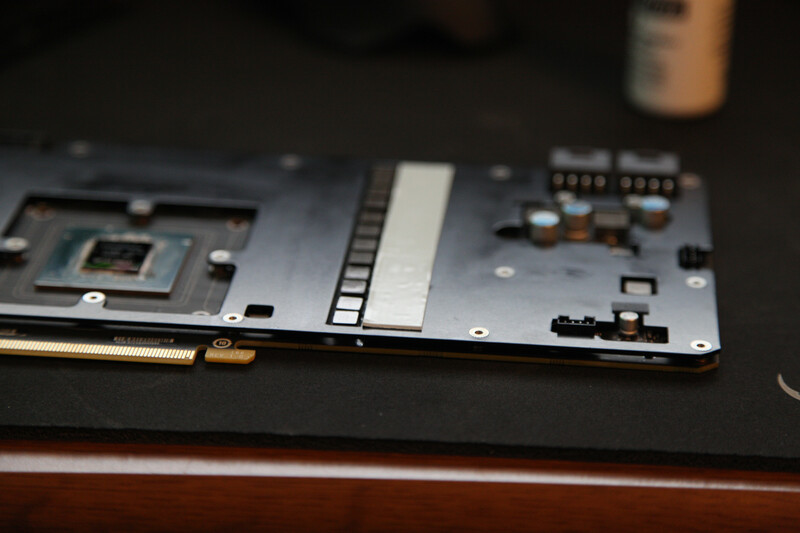 As for suggestions for the guide, you could point out that the indentations from the fins can be seen more clearly in the picture below where you're applying the thermal paste. Thanks for the guide. Exactly how much paste do you initially put on before spreading it? A little more than an 1/8th the size of the die with the pea method, and then spread. I will add a little more of needed, and then spread. NM just read the bottom section. All good in the hood. Thankyou!! this guy is just great! thank you Scarlet, well done. For those asking how to apply thermal interface material (TIM), Heatsink compound, Cooler sauce, or whatever you like to call it, here's a tip. As scarlet said, spreading IS the best way to apply TIM. I used to work for an electric vehicle research company, and as you can imagine, our MOSFET's and VRM's were a "bit" bigger to say the least. After twenty years of experimenting i settled on a way to apply TIM which has never let me down, and always provides superior results if done right. It's easy, it's quick and only takes slightly more effort than just globbing it on. lol. As Scarlet suggested using a credit card or similar is a good way to apply it, but NOT using the edge. Initially using the edge to get it on is fine, but then you need to move slightly inboard. I've got a picture i'll add to this post to show you what I mean. 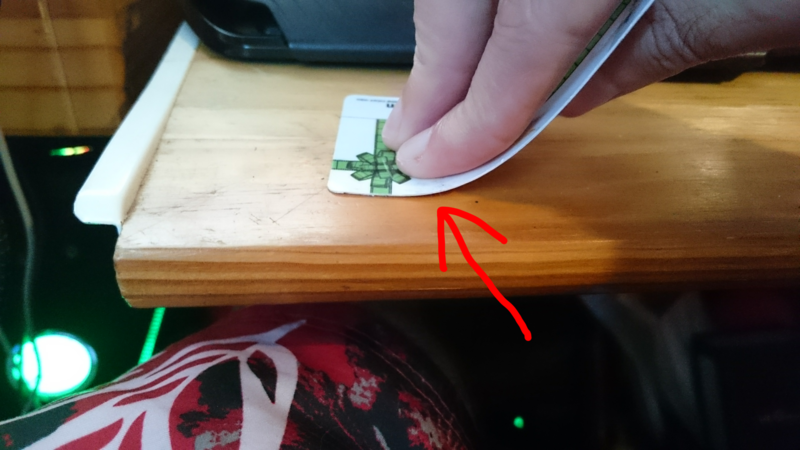 It's quite simple, you bend the card slightly by pushing down firmly on it as you spread the TIM. This helps expel any bubbles and applies a nice even thin layer of TIM. I've used this on electronics of all sorts including CPU's and GPU's of hundreds of systems. My current RIG has an i5 6600K that idles at 27'c and tops out at 38'c. My GTX 1070 FTW idles at 28'c and tops out at 64'c. Can't take credit for the FTW, that's out of the box and i've had no issues, but mine was built on 10/10/16 according to my info page. I've run it while monitoring temps with an infra red thermometer and the back of my card sits around 35-40'c. So it seems the pad fix is very effective. I also run a more aggressive fan profile, but not by much.